"From the Heart, For the Herd" Part 1 of 2. 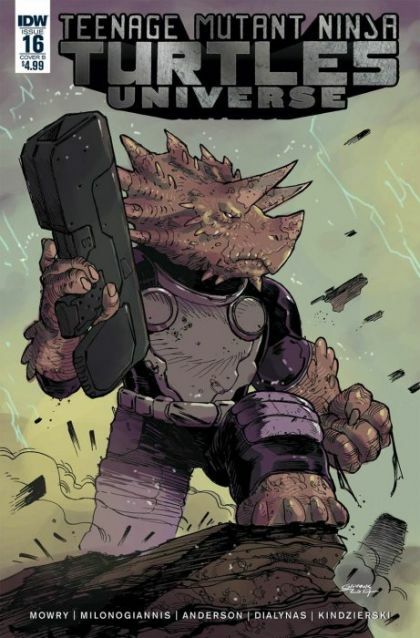 Journey back to the height of the Triceraton rebellion against the Utroms and learn the secret history of the Triceraton commander who will have a major impact on the lives of the TMNT! Bullet points: * Ties into the TMNT ongoing's "Invasion of the Triceratons!"